Jaap Van Ginneken, Crowds, Psychology, and Politics, 1871–1899. 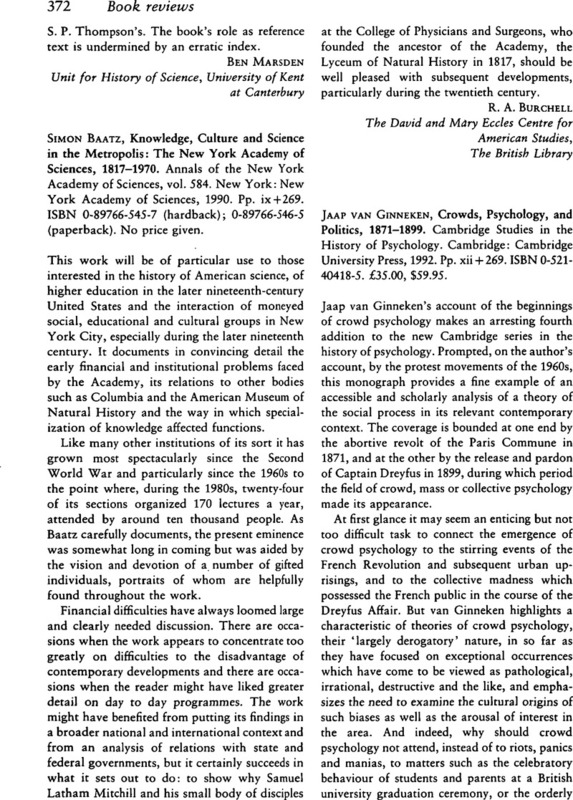 Cambridge Studies in the History of Psychology. Cambridge: Cambridge University Press, 1992. Pp. xii + 269. ISBN 0-521-40418-5. £35.00, $59.95. 1 See Reicher, S., ‘Politics of crowd psychology’ The Psychologist (1991), 14, 487–91.